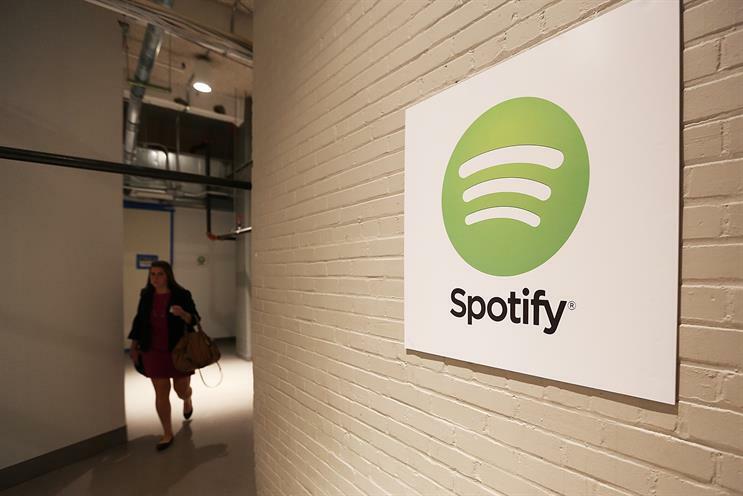 Like Netflix, Twitter and other internet staples before it, music streaming service Spotify has been struggling to convert a rapidly growing user base into revenue. "For every thousand impressions we ran, we created 24 dollars of revenue. The Nielsen benchmark is $19.64," said Jeff Rossi, head of industry, CPG, at Spotify. The study looked at ads that ran on the platform over a 12-month period, promoting non-alcoholic beverages, food, snacks, personal care and home care products. Specifically, a combination of ad formats—audio and display—saw the greatest return. Spotify is a platform that users can interact with passively, by starting a playlist and letting it run in the background, when audio ads are most effective. But users also watch videos or actively browse songs and artists, so video and display ads have their place, too. The study also found that campaigns that ran on both mobile and desktop saw 39 percent higher incremental sales over campaigns running on just one or the other. "Now that we understand that mixed media and cross-platform are all levers we can pull to manage a campaign to more positively affect ROAS, we feel confident these numbers will continue to increase over time," Rossi added. Households that already purchased the advertised products bought them more often and in larger quantities. In addition, households that purchased the same category of product but didn’t favor an advertised brand switched over. Rossi credited the nature of ads on Spotify for the high returns. "Think about the emotional proximity of the content," he said. "If I’m going for a run, if I’m focused while I’m doing work, if I’m listening while I’m putting the kids down. The music is in my ear or central to my experience." Going forward, Spotify plans to use the data from the NCS study to create best practices for internal content teams, as well as agency partners "upstream, creative agencies and strategists and brand marketers," Rossi added. "We definitely want to apply it at the media agency stage, but we also want to deal with the creative agencies."